Made from high quality pigments, Speedball’s Oil-Based Block Printing Inks are formulated to be permanent, waterproof and archival. 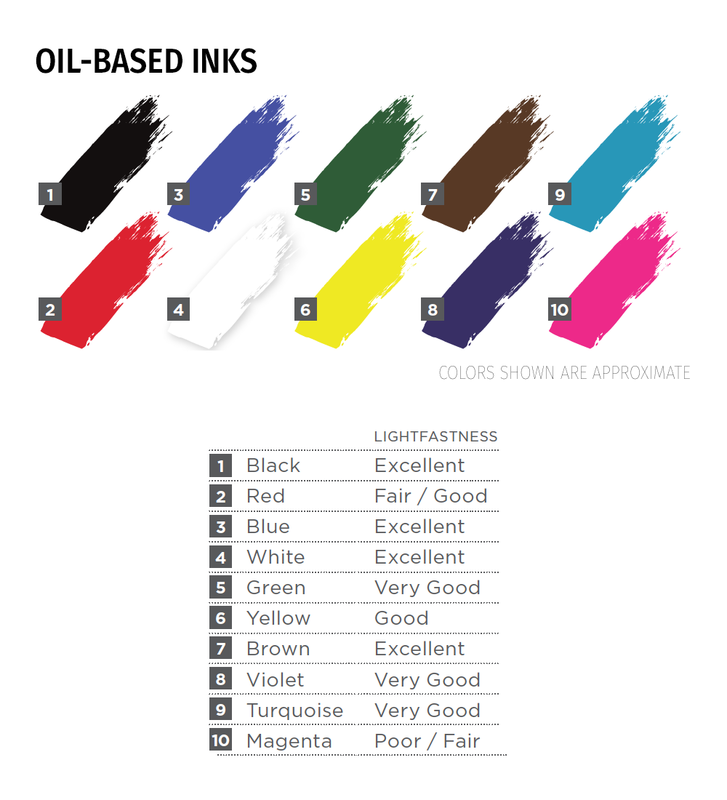 Available in 10 rich colors across 2 sizes, Speedball Oil-Based Inks can be used for printing on paper with any traditional printmaking surface. All 10 colors carry the AP Seal, and clean up with kerosene, mineral spirits or turpentine.